Ages ago I created a limited edition of perpetual calendars. The designs are hand screen-printed onto manila tags. 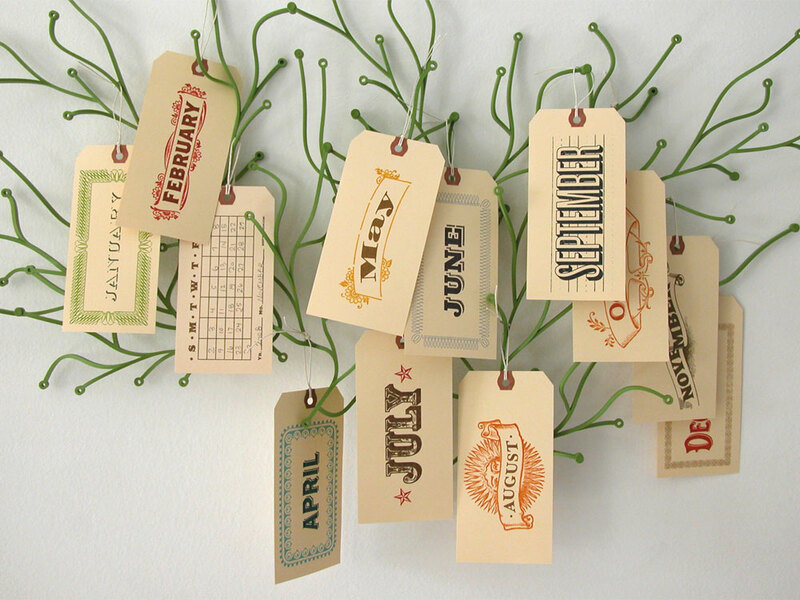 After a long hiatus, a new edition of calendars are finally back in stock! True, it is past the January calendar rush, but not to worry. Why not pick up with April? That’s one of my favorites anyhow. They are available through my Etsy shop. 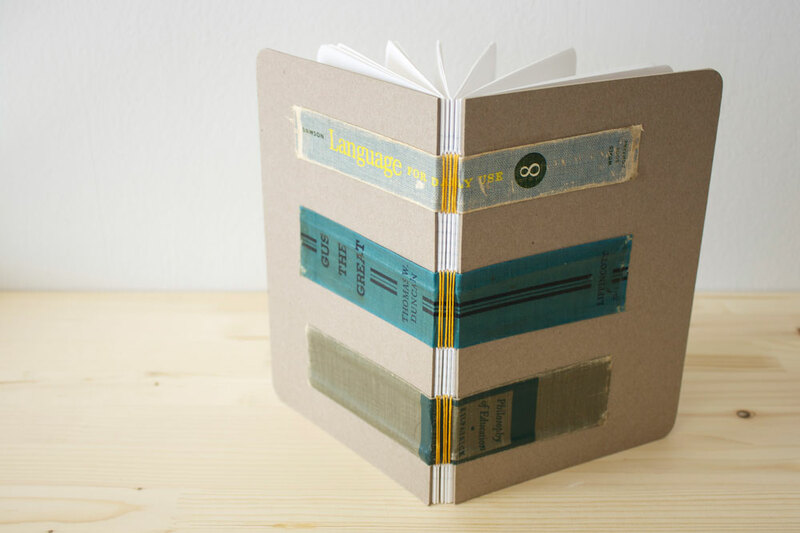 Ben and I took some time to retool the DIY Planner and Calendar in our Droplet Etsy shop. We added a new Notes page with more writing space. We also clarified the instructions for setting up your planner for binding (other than a 3-ring binder) and added several pages to make the binding process go much more smoothly. If you purchased a PDF from Droplet before March 8, 2010, send us a convo or email and we will send you the new upgraded version for free! I finally put together a planner/calendar for myself for the year. I guess March is a little late but better than never! The pages are sewn onto straps (repurposed book spines), which I then adhered to the chip board cover. 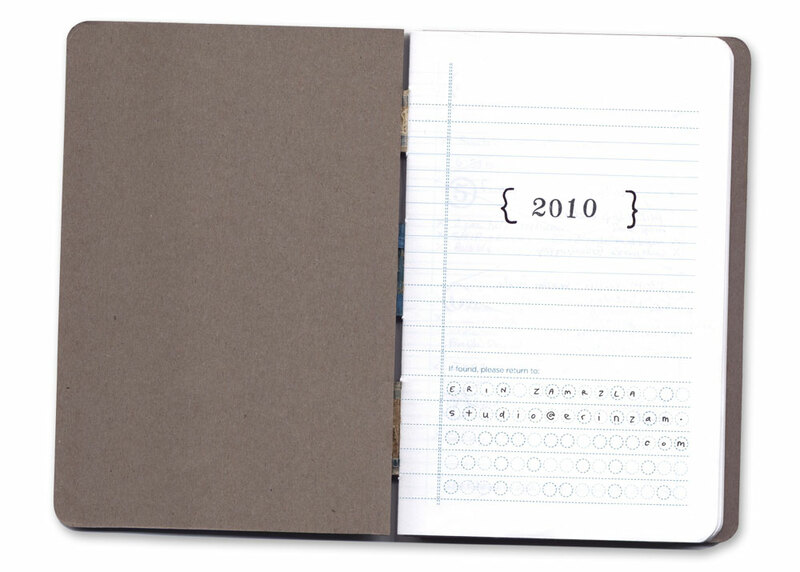 The planner pages are from Droplet. If you get the chance, take a peek at the latest issue of Cloth Paper Scissors (March/April 2010)! The magazine includes an interview with myself about a few current book projects. 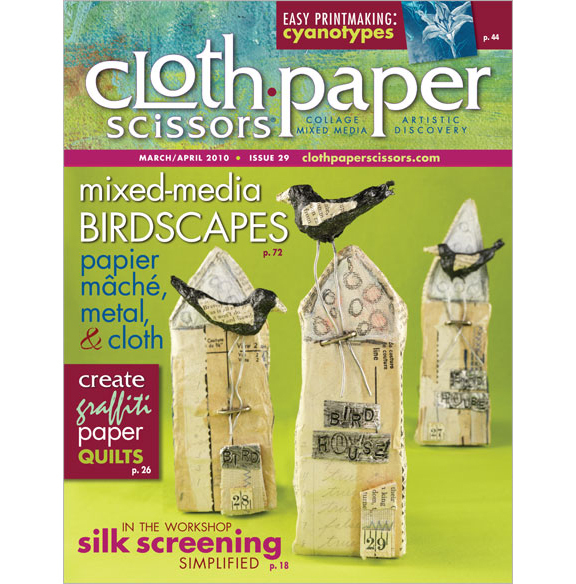 The issue is filled with great techniques and ideas for collage and other mixed media projects. 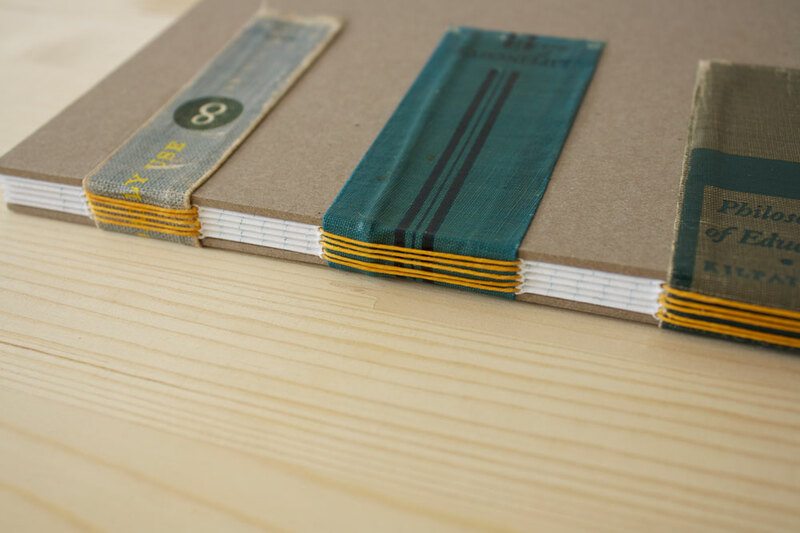 My favorite project, provided by Jeannine Stein, shows how to make books from repurposed vintage materials. She created some beautiful examples. You are currently browsing the Erinzam News weblog archives for March, 2010.